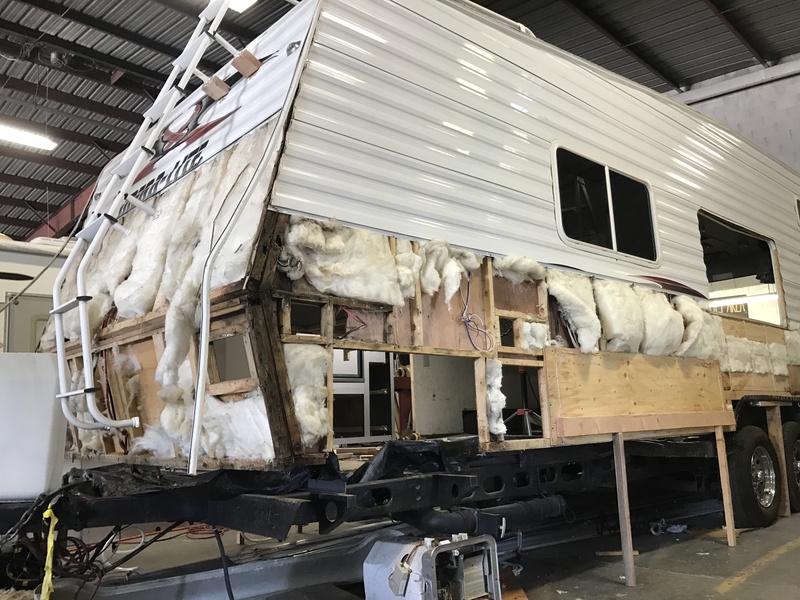 Almaden RV received a job too big for a local RV repair center. 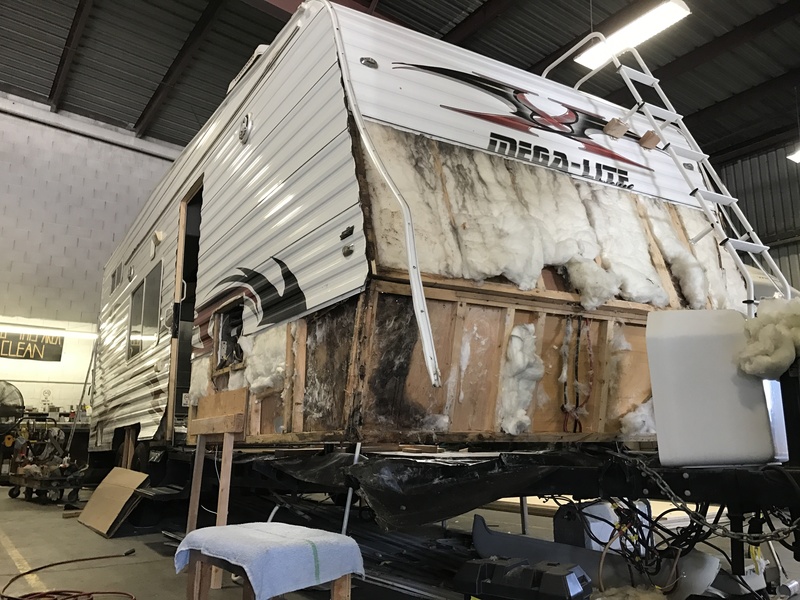 The owners went away on a trip and accidentally left open all of the roof vents. 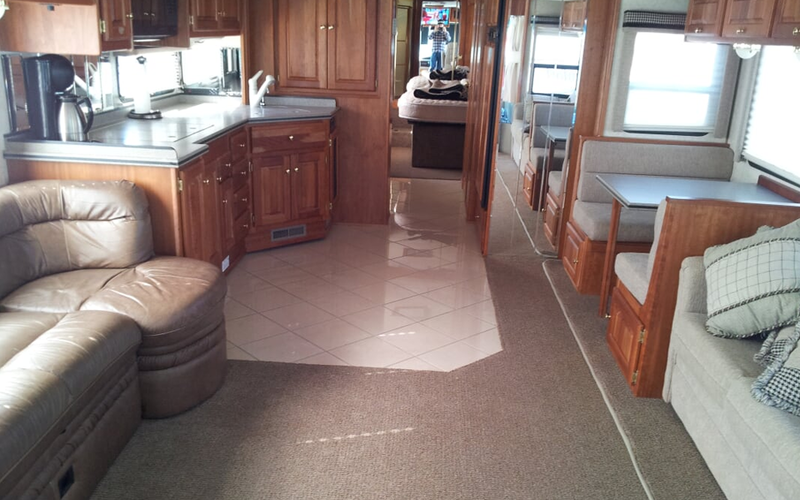 The following heavy rains fill up the RV with water and sat rotting the floors and bottom of all the walls. 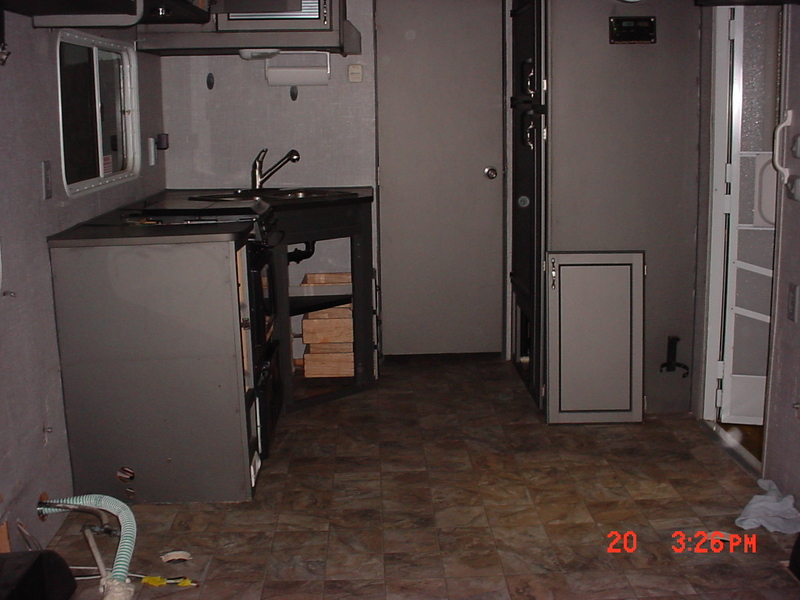 The interior was also heavily damaged by moisture and mold. 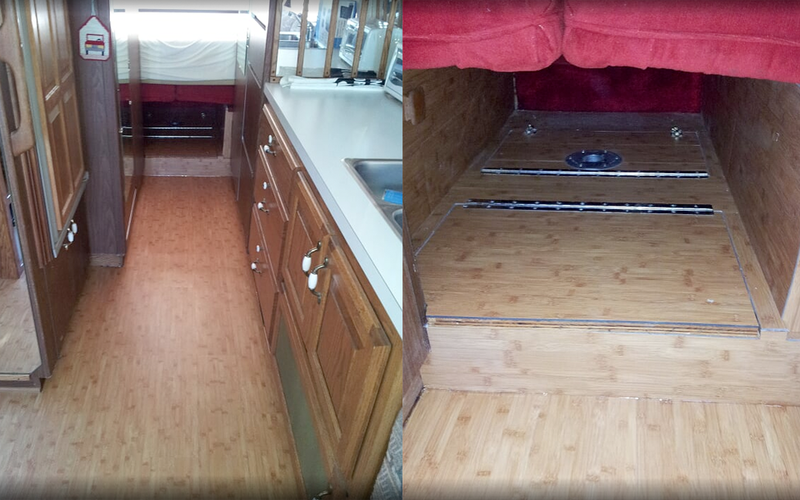 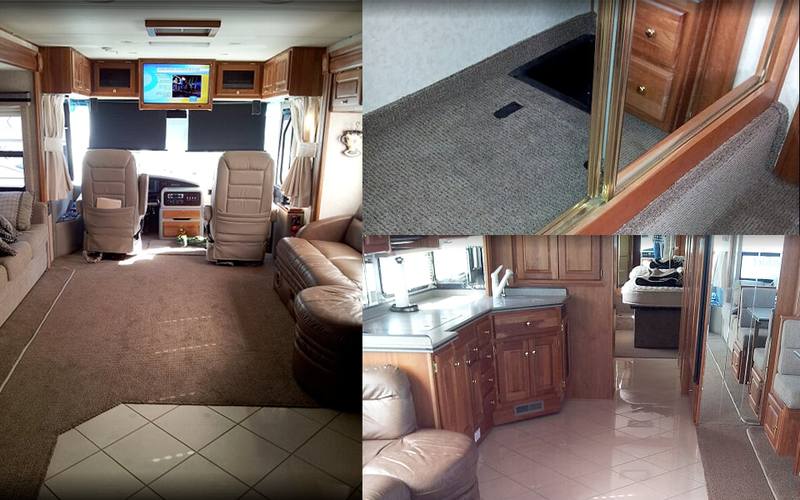 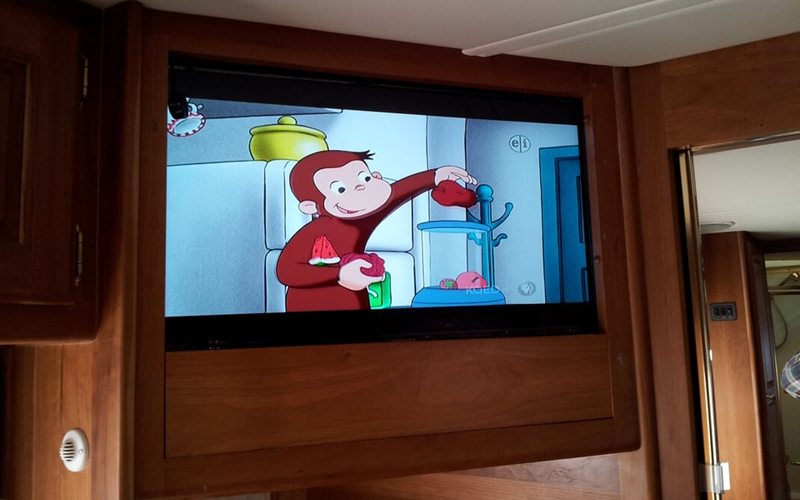 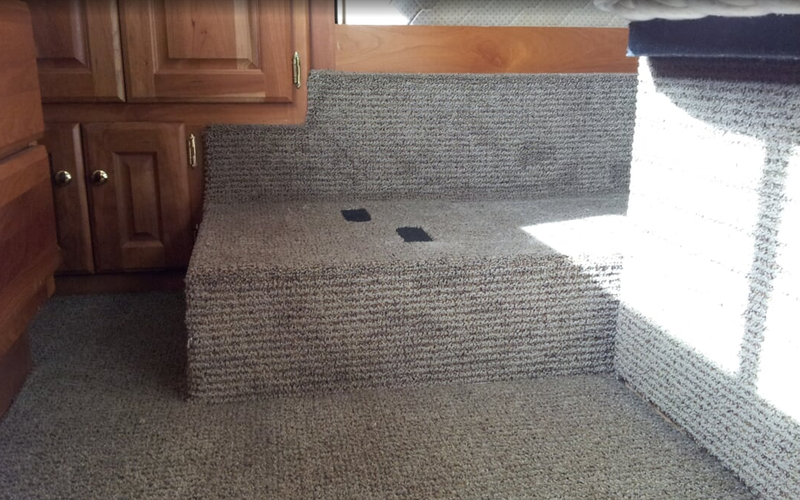 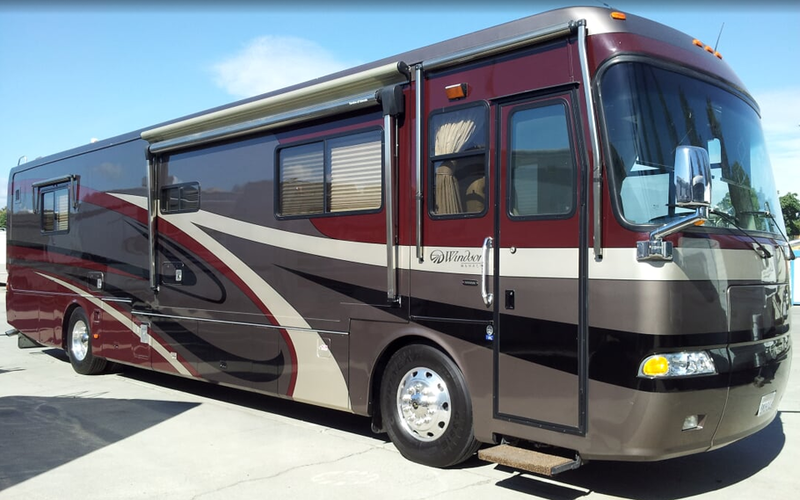 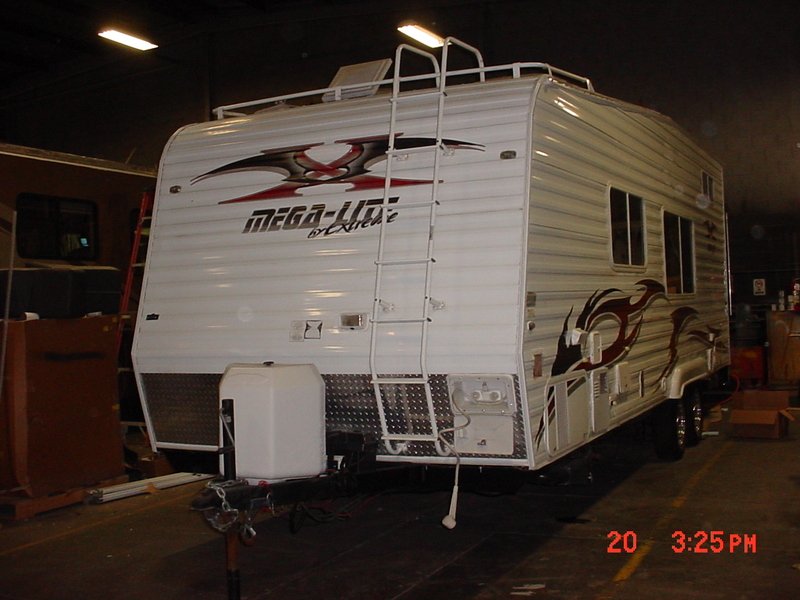 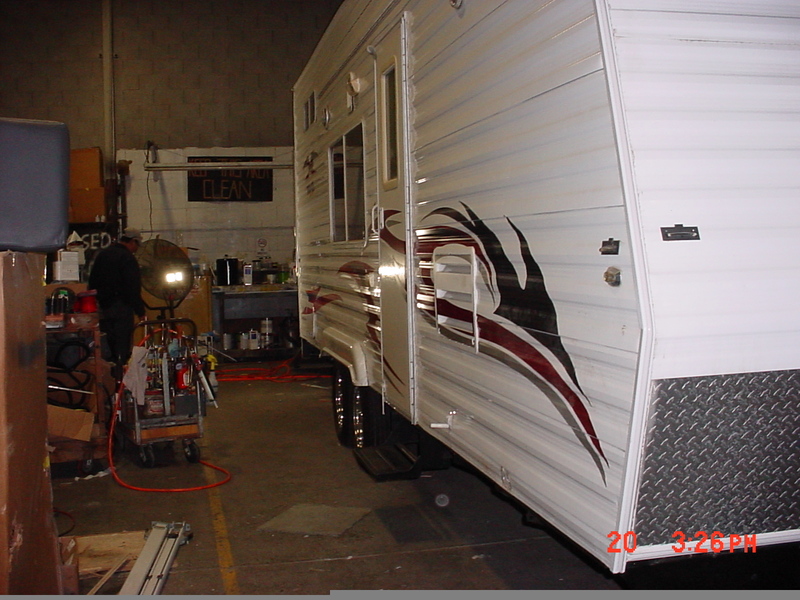 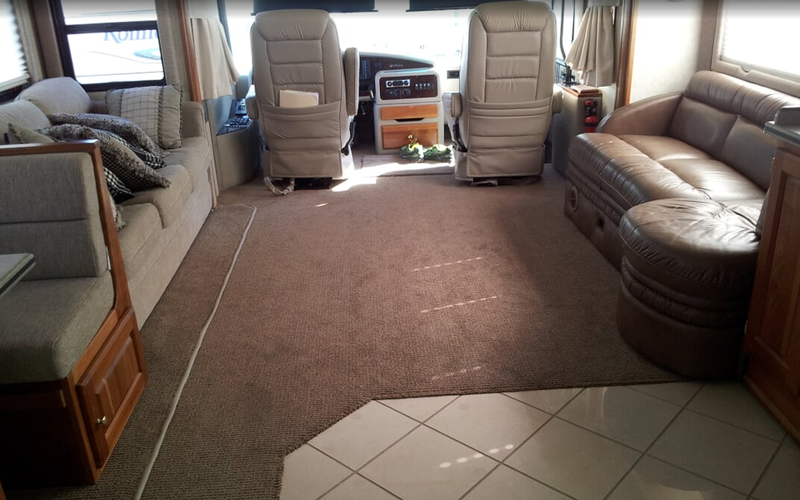 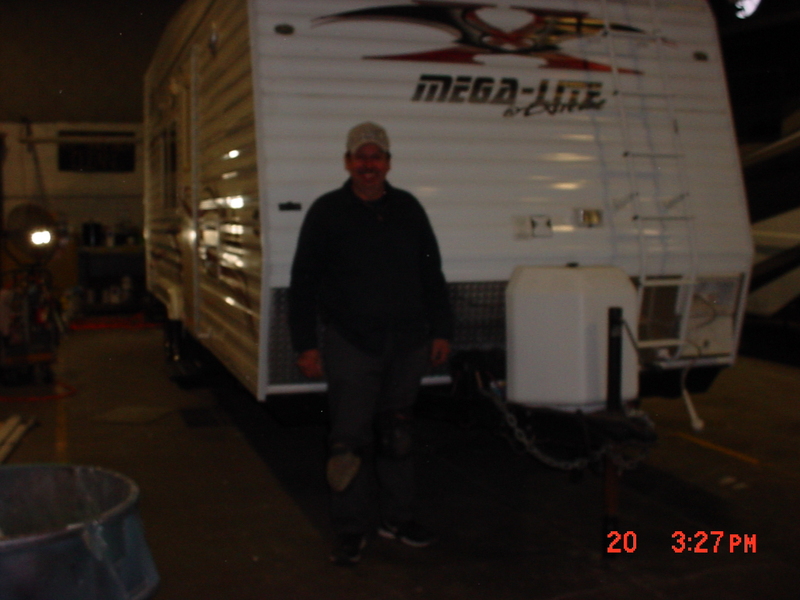 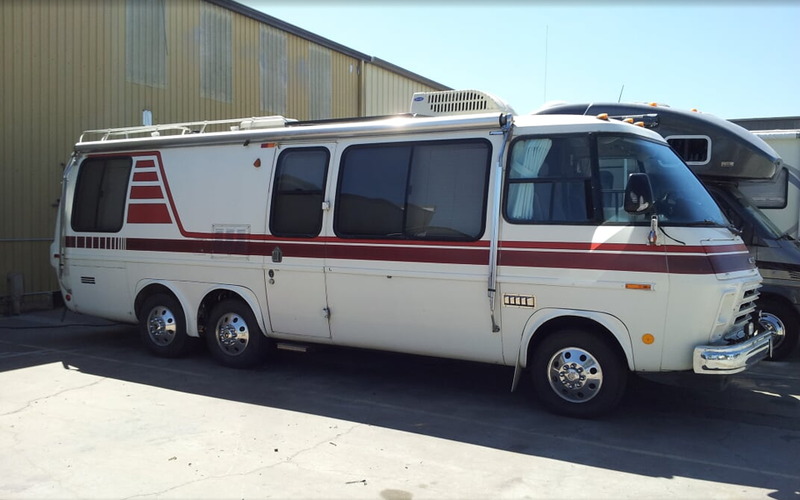 The factory contacted Chris at Almaden RV to see if he could restore the RV. 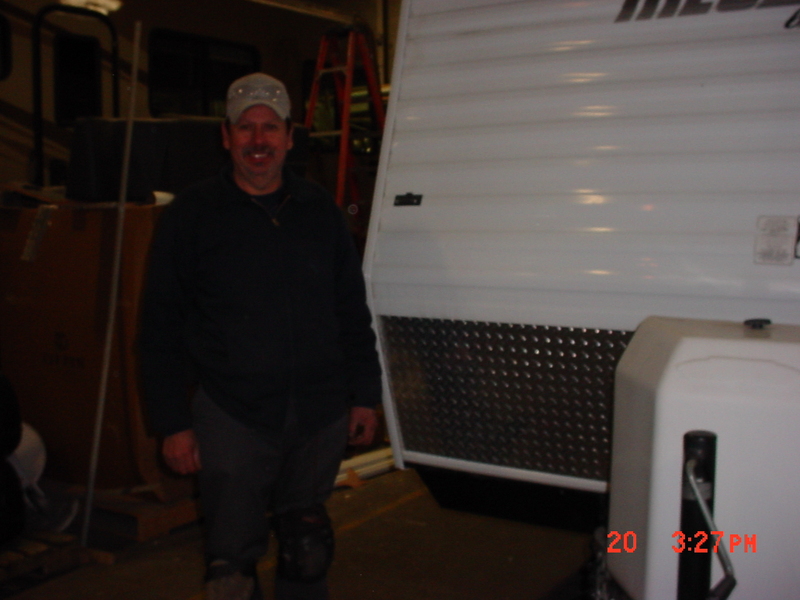 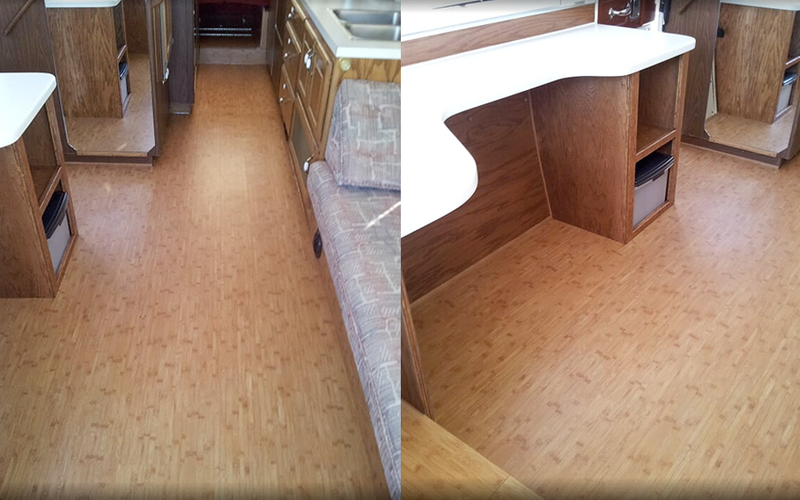 Chris said “No Problem” because hardly any job is too big for Almaden RV. 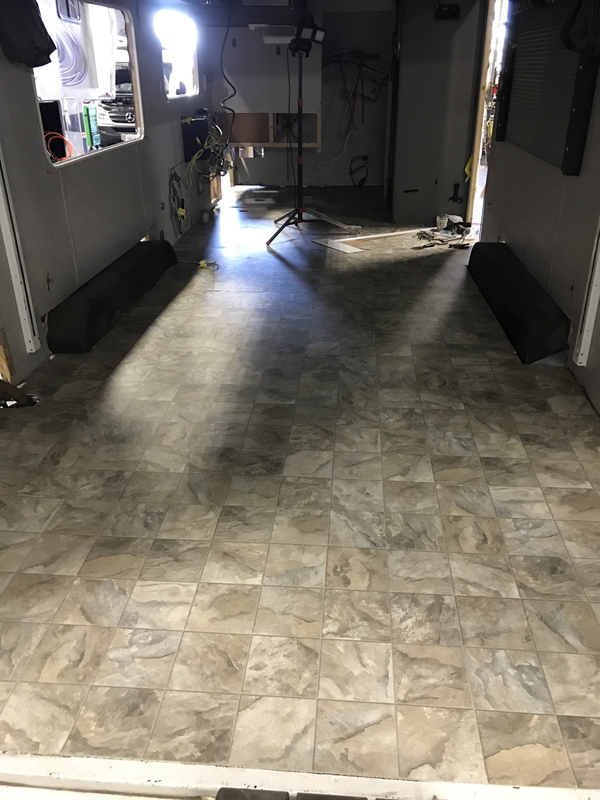 What a fantastic job!